Want inside stories from our best-sellers and off-page interviews with emerging authors? Your next must-see show premieres Thursday, June 7, with the official launch of Page Turners, the first series from ABB's new in-house studio! VISIT THE ABB CHANNEL ON YOUTUBE FOR MORE! ABB understands the unparalleled impact video content has on an author's book-to-brand development. That’s why we created Page Turners to optimize our clients' digital influence and cross-platform promotion. On camera, authors chat with our Emmy award-winning host, Hilary Kennedy, sharing the stories behind their books, their publishing experiences, and above all, their message and mission. Stay tuned as ABB's latest chapter unfolds with Page Turners! As the holiday season kicks into high gear, let BBPG make your gift shopping easier with these fabulous reads! This is the true story of Brown Books author, L.M. For (soon-to-be) obvious reasons, names have been omitted to protect the (somewhat) innocent publishing professionals referenced herein. Yesterday I received the message every author desperately wishes to hear. “I represent The _______ Press and we would like to discuss your book,” sang Mrs. ___. I was absolutely elated! And pleased to impress those who’d told me that to be a real author, I had to have that coveted contract from a traditional royalty publisher. I returned the call immediately, eager to discuss the editorial and financial opportunities a major publishing house was sure to offer. Smiling as Mrs. _____ introduced herself, we exchanged brief pleasantries before she moved on to the questions and terms that would determine my book deal. Mrs. _______ was ready with the details . . .
“Well, perhaps we could go to 9 percent,” she offered reluctantly. “But The ______ Press requires authors to do all their own promotion. In fact, it is a point of contract." I was silent for a minute. Surely, I had missed something that would explain how this could possibly be to my benefit. I paused. There was no sound from Mrs. _____. And then I asked the real question. “I already did,” I gently reminded her. “Maybe we can negotiate your 5th edition?” Mrs. _____ said quietly, before politely concluding our call with a pensive invitation to continue the discussion. Ultimately, I learned a very important lesson that day . . . publishers are not necessarily looking out for your best interest, and the traditional publishing model wasn't designed with authors in mind. There was a time when royalty publishing was the only channel for authors, but independents like Milli Brown and Brown Books have (finally) given us the option to retain our rights – and our profits. Since pioneering A New Era in Publishing® in 1994, Milli Brown has been an industry innovator and a trailblazer for female entrepreneurs and executives. Now, she’s opening the book on her pre-publishing days with revealing reflections on her early career. Find out how she challenged the status quo long before the ‘glass ceiling,’ and read her hard-won advice for women in corporate leadership. When I received my first business section feature as a young executive, I was ecstatic. And decidedly unfazed that “lace and curves” were cited as catalysts for my career. Tasked with elevating differentiation in a competitive market, I led hospitality development for a global hotel chain, and we were driving success in the service “war” among high-end companies. Which is why The Pittsburgh Press saw fit to showcase my achievements. 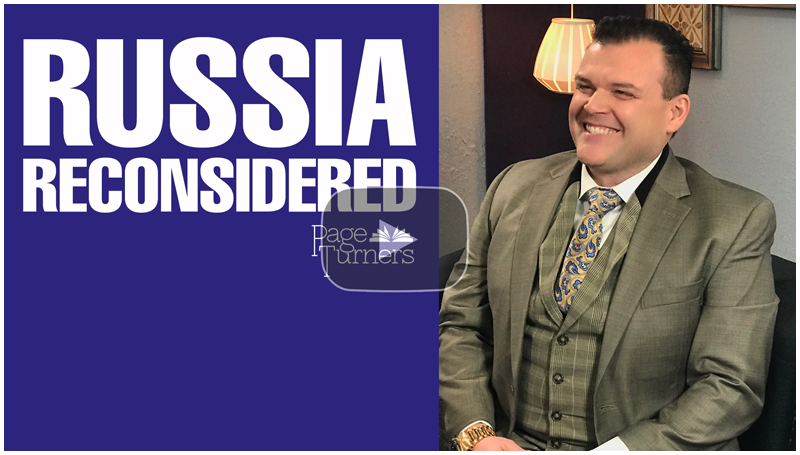 I’d rarely thought about this interview over the years, until a youthful staffer discovered it and asked how my sentiment – or lack thereof – differed in hindsight. Apart from my enduring stance against the compulsory outrage this article would spark today, I didn’t have a ready answer. Nor did I want to sacrifice authenticity for easy platitudes. It is important to acknowledge that gender-based assumptions exist and that integrity is not a surefire shield against disrespect. They do, and it isn’t. Unrepentant sexism happens. Everywhere, every day. It used to be blatant. Like earning a third promotion in Pittsburgh for a position that came with a large office . . . only to be denied a private desk so clients were still greeted by a "pretty face." Today, it persists more subtly. Like being included in an executive-level meeting . . . only to be told you wouldn’t be presenting and should focus on client engagement to "keep things light." While I’m a CEO and relentlessly independent entrepreneur, my perspective has rarely aligned with contemporary expectations. When I founded Brown Books more than 20 years ago, I was a disruptor in a very old and traditional industry. Everyone pushed back against our author-owned model because we were different. Today, that long-established industry faces increasing instability while Brown Books continues to flourish. I am successful as a result of my strength, determination and fierce independence … because let’s be honest – these days, my lace and curves have nothing to do with it. Want more? Connect with us on Facebook, LinkedIn, and Twitter. Hand selecting the top titles from thousands of candidates across the country, the editors of Foreword Reviews have finally announced their 2016 honorees . . . and Brown Books has five Foreword INDIES Book of the Year Awards Finalists! The annual recipients represent the best releases among independent publishers, and we’re thrilled to reveal the authors who are ‘in it to win it’ this season. Find out which books made the elite list, and stay tuned, because the winners will be announced June 24 at the American Library Association Annual Conference. Looking for simple ways to celebrate National Random Acts of Kindness Day? The Brown Books' team shared their best stories of unexpected at-work benevolence to help you get inspired and get busy sharing your compassion with others. Tap into their encouraging efforts and experiences with clients, colleagues, and friends for great ideas to try now! “This couldn’t possibly be the Richard Bach,” thought Linda Greiner as she reread the heartfelt email. Elated by the moving praise for her work, the creator of the Sashi series sat in stunned disbelief and was compelled to reply in gratitude, no matter who would really be on the receiving end. Greiner’s fortuitous response soon led to a meaningful correspondence that made one thing clear – she was indeed talking with the literary legend himself. Bach, one of America’s most iconic authors, has been well read worldwide with more than 60 million books sold, and legions of fans grew up with his bestsellers including Jonathan Livingston Seagull and Illusions: The Adventures of a Reluctant Messiah. However, his honest, humble exchange with Greiner revealed more about Bach’s character than his famous characters. Offering perspective on the writing process and expounding on the impact of Greiner’s books, Bach proved he’s a dog lover, a diverse reader, and an advocate for fellow authors. He even made a special effort to share his thanks for us as her publisher! But the biggest surprise was yet to come. After confessing that he hadn’t officially endorsed a book in more than 30 years, Bach agreed to publicly offer his glowing commentary on the growing collection of Sashi titles. In Bach’s own words . . .
Not only are we unbelievably delighted by Bach and Greiner’s serendipitous connection, we’re now motivated to add another resolution to this year’s list. So we’re reframing a daunting modern adage with a new take on “See something, say something.” Our fresh approach . . . If you see, read, hear, experience, or feel something great – say something! Because as any good publisher will tell you, well-chosen words can have a profound influence on someone else’s story. Want proof? Bach’s encouragement for Greiner and passion for helping four- and two-legged friends inspired Milli Brown to pursue a lifelong business goal. That’s why Brown Books will be opening a publishing division just for pets – and the owners and authors who love them! Bearing the name of Milli’s own rescue dog, RADO’S Press – an acronym for Rescue Animals Deserve Our Support – will officially launch in early 2017. Stay tuned to find out how we’ll be supporting animals in need through new titles, good reads, and great organizations. Brown Books was built because we believed writers deserved a better way to share their stories. After more than two decades, the opportunity to create, honor, and amplify award-winning work continues to serve as our cornerstone and compass. Our mission is loyalty - not royalties. And that's why we're turning #NationalAuthorsDay and #LifeWritingMonth into a celebration of gratitude for our clients, our books, and the power of Relationship Publishing! We’re just 24 hours away from the nation’s largest community-wide giving event - North Texas Giving Day! The online concept brings people across the globe together to raise as much money as possible for non-profits in and around Brown Books' hometown, and over the past seven years, the initiative has generated $119 million for critical causes in the region. Be a hero for those in need by taking part in the Sept. 22 event, and find out how you can join our authors in giving back anytime of year with good reads that support great causes in North Texas! For every copy purchased through MooseTheWorryMutt.com, Drs. Crowley and Ohlenforst will donate $1 to A Home Within, a national nonprofit that provides pro bono therapy to current and former foster youth. Donate: Online anytime @ AHomeWithin.org or MooseTheWorryMutt.com. The founder of Solomon People Solutions and author of Tranlate, Motivate, Activate donates all proceeds from his book to My Possibilities, a DFW-based non-profit that enables adults with disabilities to realize their greatest possibilities and enjoy meaningful lives. Donate: On Sept. 22 @ NorthTexasGivingDay.org/npo/My-Possibilities, or anytime via MyPossibilities.org and SolomonPS.com. Your purchase of My Huggy Bear will fund the Prepare 4 Tomorrow scholarships through Helping Hands & Caring Hearts of America for minority students in the Dallas-Fort Worth area with financial need. Donate: Online anytime @ HelpingHandsAndCaringHeartsOfAmerica.com or MyHuggyBear.com. Visit the website to review the full roster of North Texas Giving Day events, and follow the organization online via Facebook and Twitter. Nothing beats a good book, but beyond the page, many of our authors are serving as digital thought leaders. That's why ABB is taking you inside their blogs, businesses, and big ideas with our column, Publishing Progress. 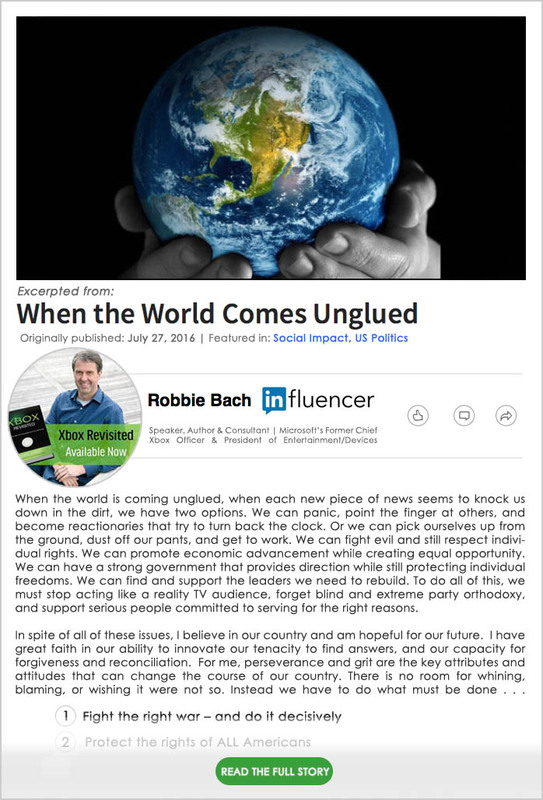 Today, we're sharing a game-changing excerpt on political and social impact from LinkedIn Influencer Robbie Bach, author of Xbox Revisited: A Game Plan for Corporate and Civic Renewal. Get to know the author of Xbox Revisited @ RobbieBach.com, and connect with ABB on Facebook, Twitter, and LinkedIn for the latest updates on our books and brilliant clients! "Ghosting" gets a bad rap when it comes to personal relationships, and rightly so. But professionally, "ghosting" can be a great game-changer, especially for entrepreneurs and executives who aspire to become authors. Today, Milli Brown and COO Tom Reale are giving you an inside look at ghostwriting and the critical role ghostwriters play in bringing big ideas to life. Many books, so many books, have been authored by exceptionally talented and impressive executives and public figures. They just weren’t written by them. When you think about it, this arrangement absolutely makes sense. When you get sick or hurt, you might administer some medicine to yourself, or bandage yourself. But when you need to go to the next level you go the doctor. You might change the oil or add radiator fluid to your own car, but next-level requirements will send you to a mechanic or dealership. Who among us would expect the president of a major Fortune 500 company to have the skill set of someone with a PhD in literature? By the same token, who would expect a credentialed journalist with decades of experience writing for a top U.S. newspaper to have the same skill set as a prominent U.S. prosecutor? Both of the teams I describe here are actual pairs: author and ghostwriter, ghostwriter and author, for whom it has been my absolute pleasure to publish. Do you really think Hillary Clinton wrote Hard Choices? Her authorship of It Takes a Village came under criticism in the mid-1990’s for not providing enough credit to Georgetown journalism professor Barbara Feinman, who wrote most of the text. What was scandalous 20 years ago is passé today. The public (or at least the media) have come to understand that people running for president don’t have the time to write a book! But here’s the thing: there is no one but a presidential candidate who can convey their own perspective. And there is no skill but that of a highly qualified writer who can interpret that perspective into book form. Even in the fiction world this is not unheard of, although it is fairly rare. In a recently published edition of the Star Wars trilogy, George Lucas acknowledged in his foreword that the novelization of Star Wars: A New Hope was ghostwritten by Alan Dean Foster, who went on to write many novels within that universe. This, too, follows completely. George Lucas is a visionary film director, and Alan Dean Foster is an accomplished novelist. Each applied their craft to the same story: the rest is history. How are we spending summer's hottest month? Tap into our hit list of August events for opportunities to learn, listen, lend a helping hand, and connect with book launches across the country. 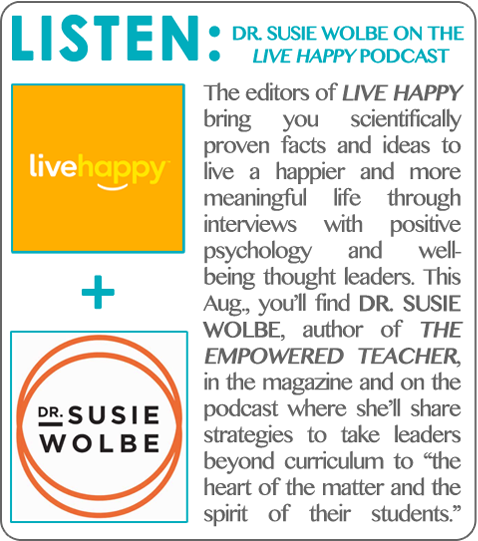 DETAILS: LISTEN TO THE PODCAST ON 8.31.16 @ LIVEHAPPY.COM, AND LOOK FOR DR. WOLBE IN THE MAGAZINE'S AUGUST ISSUE. DETAILS: JOIN MAK IN LENDING A HAND ONLINE, ANYTIME @ NOBULLCHALLENGE.ORG; VIDEO SUBMISSIONS FOR 2016-2017 ARE OPENING SOON, SO STAY TUNED! DETAILS: FIND OUT HOW TO ATTEND THE SYMPOSIUM ON 8.13.16 @ JEFFERSONMUSEUM.NET. DETAILS: CHECK OUT OUR CURRENT CATALOG AND CONNECT WITH ABB ON FACEBOOK, TWITTER, OR LINKEDIN FOR THE LATEST ON OUR NEW AND UPCOMING RELEASES. We're committed to equipping authors for success by sharing critical tools, expertise, and advice. That's why our COO Tom Reale is revealing insider insights on book distribution; find out how to avoid hidden risks - and maximize rewards - by partnering with the right publisher and distributor. Not long ago, the American publishing industry was starkly divided between the “Haves” and the “Have-nots.” Authors either were represented by a royalty publisher with access to major wholesalers and retailers in 36,000-plus national locations – or they were sentenced to door-to-door distribution that literally required them to sell books out of their car or home. HISTORY IN THE MAKING . . . Twenty-one years ago, our founder, Milli Brown, had an epiphany. Standing in a bookstore and holding a novel, she wondered whether the average patron cared about who made money when they bought a book. She thought about it and had to honestly answer, “No.” Then she wondered whether the other customers nearby could rattle off the names of the major New York publishers, and whether they even knew which company had published the book they just bought. Again she answered herself, “Probably not.” After all, how many people have heard of Avery, Perigee, Del Rey, or Flirt, or know that they are all part of Random House? So why couldn’t there be a professional publishing company, with all of the capabilities and reach of a royalty publisher, that delivered the major economic benefit of book sales to the person who deserves it most: the author? There would be challenges to driving this thought process uphill against an industry infrastructure severely biased toward a royalty model. But Milli had two major advantages on her side of the struggle to come: Texan stubbornness, and no national publishing bias. THINKING DIFFERENTLY ABOUT DISTRIBUTION . . . To build Brown Books Publishing Group (BBPG), Milli and her team methodically added one capability after another, in each case snapping into place another piece of the puzzle needed to create a completely unique, top-flight national publisher. Each step of the journey was met with skepticism from the various gatekeepers in the book trade. In each case, through leadership, innovation, and perseverance, Brown found a way to offer more to individual authors than had ever been offered in the past. ROAD WARRIORS WELCOME . . . After two decades of proving the value of our services and the quality of our books to the market gatekeepers, we added an on-the-ground, national sales force in 2015. When we set ourselves to the task of adding this critical function to the company’s offerings, we once again set the bar high. Most independent publishers settle for inclusion in a national, aggregated distributor and sales group. This forces them to sacrifice a large percentage of profits from book sales. For us, that was a non-starter. Why? Our anniversary celebration continues with even more revealing fanfare from inside the publishing industry! In honor of Brown Books' twenty-second birthday, we're sharing 22 strategic essentials for building long-term partnerships and a loyal readership. Giving authors the secrets they need to succeed, we launched our two-part guide with 11 must-have tips for modern publishing, and now, we'll show you how to supercharge your publicity with advice from our founder and CEO, Milli Brown. Discover how to effectively synergize your book and brand through cross-promotion with the second chapter in our series, and revisit our first installment to find out how writers and entrepreneurs can realize their creative vision – and maintain control over their publications. AUTHORS FIRST, ALWAYS: Whether working with one of the Big Five or through a niche company, writers deserve and desperately need cross-promotion in the existing industry climate. 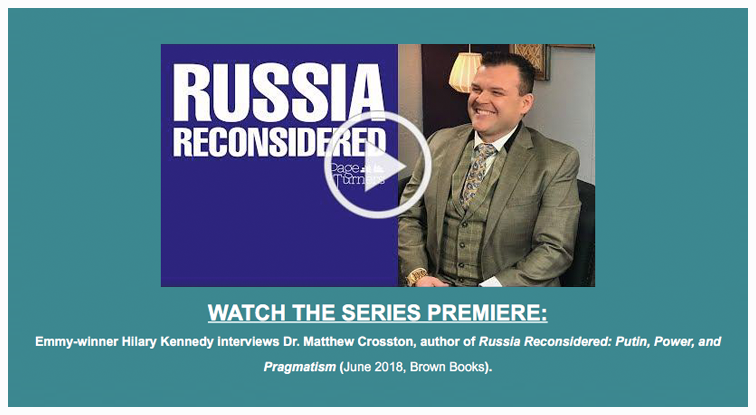 Since so many publishers still don't provide turnkey options, however, Brown Books filled the critical void by establishing a PR firm for all authors, regardless of their existing publishing affiliates. You read that right - we're actually helping our competitors by giving their clients access to The Agency at Brown Books (ABB) in an unprecedented effort to put authors first. TELLING TRANSPARENCY: A spirit of collaboration is the cornerstone of Relationship Publishing – but it should be a prerequisite for any and all creative partnerships. The right PR team or publicist should solicit and welcome your questions, provide answers and listen to your responses, and above all, provide honest feedback. NO-DRAMA DIGITAL: Modern authors already know that a strong, engaged online presence is an indispensable part of any publishing strategy. But if you lack the necessary digital fluency, you'll need platform management resources like those offered via ABB to survive, much less thrive, in today's marketplace. FROM BOOK TO BRAND: Leveraging your investment as an author demands synergized marketing that goes beyond your book to encompass your business and/or personal brand. So make sure your publicist or publisher offers a "big picture" perspective and multi-media support. GET A GOOD LOOK: Your unique story deserves an entirely original presentation. So don't settle for the repetitive, formulaic design that’s become the unfortunate "industry standard." Our solution – fully customized creative services for front-to-back packaging that's one-of-a-kind, just like your story. 360 SUPPORT: Now that authors finally have access to a lifeline they've long needed – a seamless solution for the complex PR challenges in publishing – it's time to tap into the advanced tools and services available. See how the industry paradigm has changed with ABB's 360-degree approach to distribution, design, branding, marketing, media, and digital strategy. ALWAYS BE SELLING: An innovative yet hands-on approach to retailer saturation is imperative to successful author marketing in the current climate. Which is why we launched a national sales force and new interactive catalog in 2016 to further optimize exposure for our clients. ORIGINAL PROGRAMMING: With video now dominating the social media sphere among users in pivotal demographics, a solid book trailer or a short series is vital to your marketing. Begin planning your video strategy well before your release date, or secure a publicity partner like ABB that offers full-service content creation. RIGHT TO WRITE: What's the real benefit of Relationship Publishing? Authors retain their rights and keep all the profits. We credit our long-term marketplace advantage to a business model that gives clients complete control over their publications without having to resort to self-publishing. THE BEST IS NEVER LESS: You've heard it repeated countless times . . . "You get what you pay for." And the cliché is especially applicable to the publishing and PR industries. In other words, think twice before you fall for a company that claims to be able to produce your book for pennies and deliver it in the next 24 hours. REJOICE, REVEL, & REMEMBER: Don't wait to celebrate! Writing a book is tough, so whether you've completed your manuscript or simply conquered a difficult chapter, take time to reflect on milestones big and small. Better yet, sign on with a publisher who'll be there to toast your accomplishments. “Today, we can boast that our 'Relationship Publishing' concept has withstood the test of time. However, when Brown Books opened more than two decades ago, we had no idea that unprecedented innovation would soon disrupt our industry and most others. "It now seems fortuitous that we trademarked the phrase, A New Era in Publishing™, way back in 1994. We didn't know then that we'd be leading the charge for change 22 years later, but we're looking forward to ushering authors into the next 'new era!'" Brown Books turns 22 this year, and we're ringing in our anniversary with revealing fanfare! Founded on the core principle of maximizing the financial gain for authors, our business is exploding at a time when traditional publishing continues to slow. Why? Because putting authors first is the cornerstone of our "Relationship Publishing" business model. Now, we're taking you inside the industry with our guide to strategic essentials for building long-term partnerships and a loyal readership. We'll be sharing 22 secrets all authors need to succeed, straight from our founder and CEO Milli Brown, and we're rolling out our two-part series with 11 must-have tips for modern publishing. Find out how writers and entrepreneurs can realize their creative vision - and maintain control over their publications - and stay tuned to learn the keys to supercharging your publicity and cross-promotion when we release our next installment on Thursday, February 11. VITAL SIGNS: The most important qualities to look for in a publishing house? A team that prizes authors above all, and a company culture that prizes pioneers and challenges outdated industry traditions. BOUND BY INDEPENDENCE: Choosing between a traditional or independent publisher is a pivotal decision for all authors. Do consult experts in the field before making your selection, and don't take costly shortcuts when conducting your research. If you're not sure where to begin, get started with a brief personal inventory. GO BESPOKE: A reputable publisher or publicist should embrace your ethos - and be willing to customize a complementary to-market plan that's goal-oriented and anything but generic. 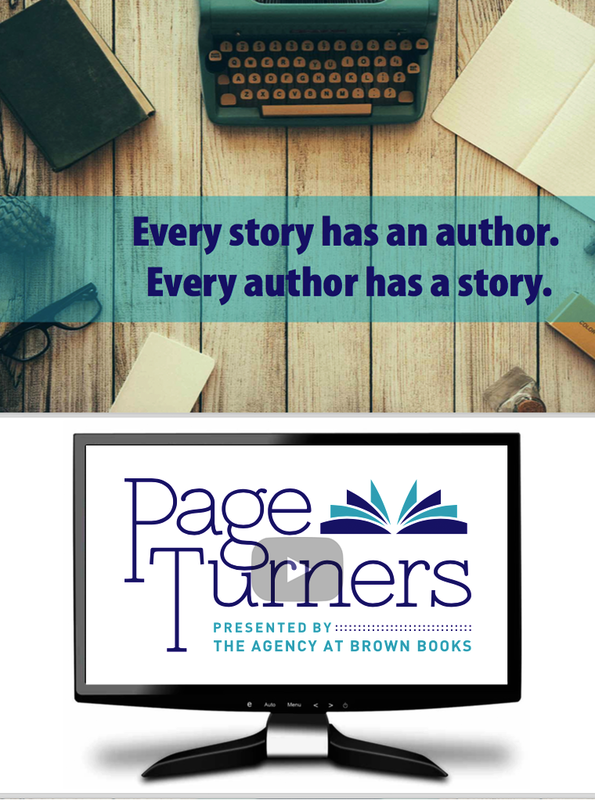 From concept building to typesetting to the first book tour, The Agency at Brown Books specializes in strategies tailored for your book and brand - and you should expect the same level of support from your team. DISTRIBUTION, DONE DIFFERENTLY: To sell your book in an evolutionary era for technology and consumer behaviors, your publisher must embrace a nimble distribution model and eschew staid standards. At Brown Books, we spent 2015 implementing progressive platforms to reduce our clients' overhead, and this year, we expanded our enhancements with a new progressive facility. GHOST-BOOSTERS: Many worthwhile, would-be authors aren't writers by trade. In fact, they're often executives, entrepreneurs, activists, creative geniuses, philanthropists, or multi-faceted leaders. 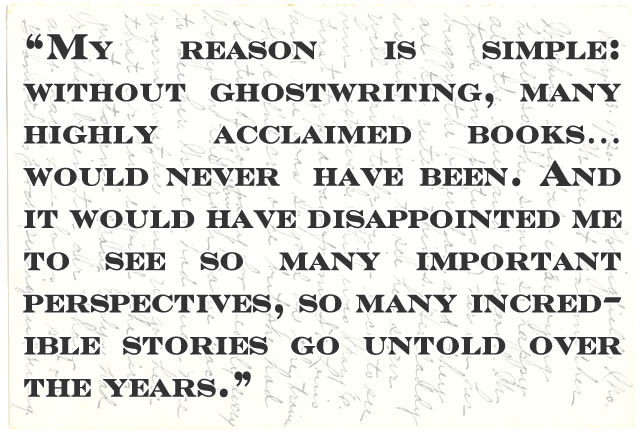 That's why a truly great publisher will always champion strong ghostwriters, and it's why we've established relationships with the best in the business. THE ULTIMATE OUTSOURCE: If you're an established professional or entrepreneur, you're likely an expert delegator, and when you're ready to write your book or memoir, you'd be wise to "outsource" the minutiae. Just make sure your publishing partner gives you editorial veterans and experienced media strategists to handle every step of the development process, from manuscript development to multi-platform launch campaigns to foreign rights. SPEAK OUT: Underscoring our role as the "ultimate" outsourcing resource, Brown Books' network of speaker's bureaus and representatives makes it easy for authors to enhance awareness, and your publisher and/or PR partner should be equally equipped to help you pursue speaking opportunities and appearances that boost your visibility. CHANNEL YOUR INNER CHILD: Have an exceptional idea for a children's book? Make sure your publisher knows the marketplace, or better yet, has a youth-oriented imprint like Brown Books Kids. SHARE YOUR FAITH: It's an honor to assist authors in sharing their beliefs, defining their message, and offering their wisdom to others. If you feel called to write a spiritually-focused title, it's important that you choose a team with experience in the unique segment, because a dedicated imprint such as Brown Christian Press can give you a significant advantage in faith-based distribution, marketing, and media. COMMUNITY MATTERS: As a Dallas-based publisher, we revel in catering to our community. Accordingly, we created a Texas-focused division that supports and honors the Lone Star State. The takeaway? Regardless of the industry or location, organizations that make an effort to be good neighbors are always more likely to make good partners, whether they specialize in publishing, party planning, or plumbing. SECOND CHANCES: Seriously regretting your decision to self-publish? Stop stressing and apply for an Extreme Publishing Makeover instead. Because you're the reason Brown Books has an entire division dedicated to "fixing" titles for previously self-published authors. Brown Books is kicking off October with three brand-new releases – and we’re bringing you the scoop on our trio of innovative titles! 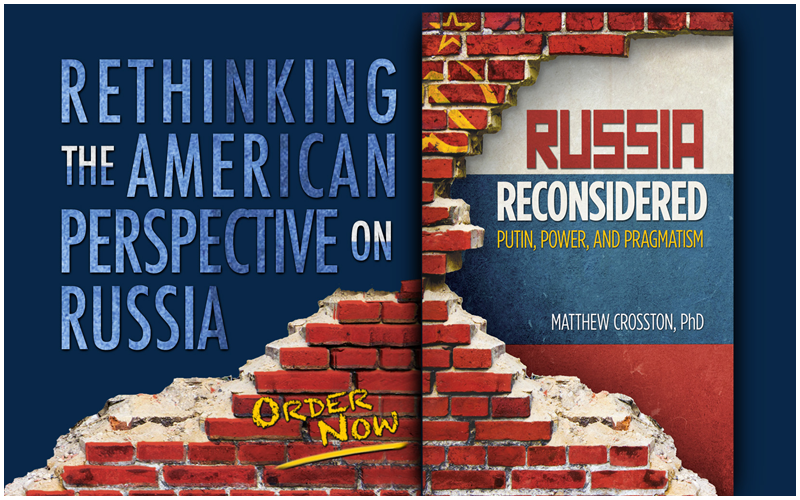 Get the backstory on our latest must-reads, and find out where to get your copies. What: Born at the turn of the millennium, the members of Generation Z are no strangers to today's fast-paced, hyperconnected world. They were born in the Digital Age. They grew up online. Their identities, attitudes, and perspectives have all been uniquely integrated with technology. Now, as they stand at the brink of adulthood, it's time for the world to discover: Who is Generation Z? Who: Writing his first book before the age of 18, Vivek Pandit is more than an author; he’s a prodigy. However, he describes himself as an ordinary teen with extraordinary passions, and we agree! Where: Order the book online; connect with the author at WeAreGenZ.com, Facebook, or Twitter; and get a signed copy during Pandit’s Dallas event, happening this Saturday, Oct. 3, 3 to 5 p.m., at Barnes & Noble-Southlake. What: Introducing a “handbook for happiness”! The debut title from businesswoman, life coach, and mentor Shirley Palmer, 12 Words: Think It–Feel It–Do It, educates and inspires others to make joyous, confident, and successful choices that are easily within reach. Based on ingenious and enlightening tenets, the author’s motivational work creates an atmosphere of belief and self-confidence that serves as a roadmap to personal and professional excellence. Who: Working with celebrities and high-profile entrepreneurs around the globe, author Shirley Palmer is a recognized visionary in personal and professional development, and the sought-after transformation expert and speaker launched a one-of-a-kind approach to mentorship and motivation as the founder of her eponymous consultancy, Shirley Palmer International, LLC. Where: Order the book online, and connect with the author at ShirleyPalmer.com, Facebook, or Twitter to learn about upcoming appearances in the U.S. and U.K.
What: This compelling novel of historical fiction is the product of impressive research, and author Lottie Guttry illuminates the everyday lives of Civil War soldiers, as well as those who were left at home. Unfolding with great realism, the tale reveals the struggles and triumphs of a North Florida family fighting to uphold their faith and values as the landscape around them plunges into turmoil. Who: The author grew up in the famous East Texas Oil Field, but Guttry met the family that would inspire Alligator Creek during her studies at Stephen F. Austin State University; now, the former literature professor is a popular writer in the Lone Star State, and she’s published musicals, plays, and diverse works in multiple genres. Where: Order the book online, and connect with Guttry at AlligatorCreekBook.com and on Facebook to learn about upcoming appearances. Check back soon for your sneak peek at more fall releases from Brown Books, and join ABB online anytime via Facebook and Twitter!